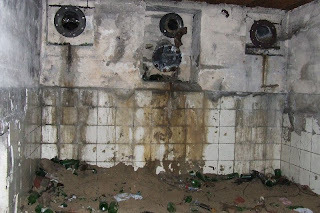 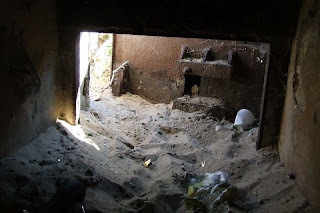 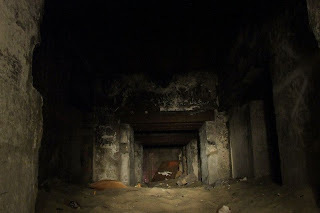 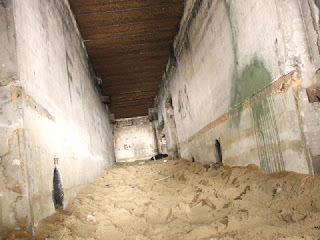 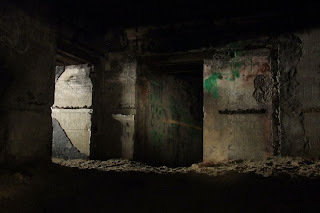 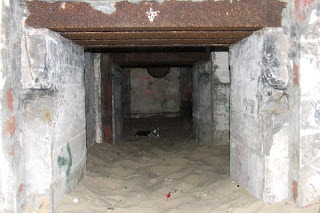 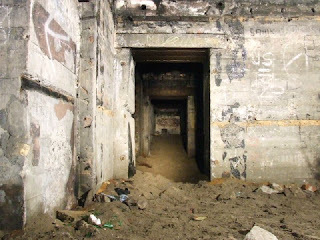 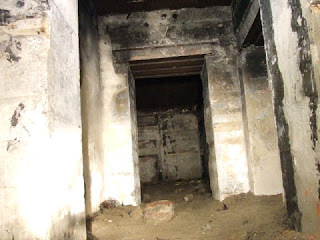 This large bunker, located on Blériot Plage in Calais, appears to have been a command post for the nearby Oldenburg and Lindemann Batteries. 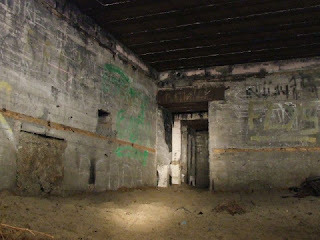 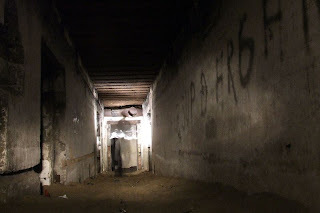 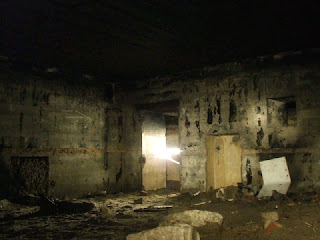 It consists of a number of rooms, accessed by three corridors, one of which leads to an observation post. 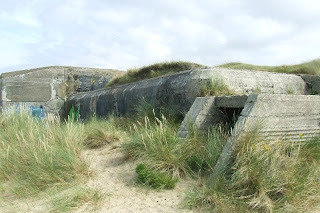 Unfortunately, due to its location on the dunes, the bunker is half filled with sand, making entry very difficult. 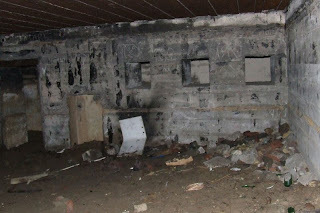 It also contains a great deal of rubbish and broken glass, and has been heavily vandalised. 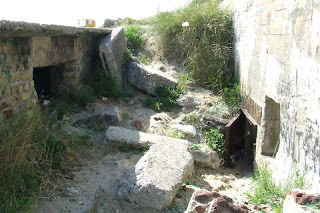 Although this can be visited, entry is not recommended due to the precarious entrance. 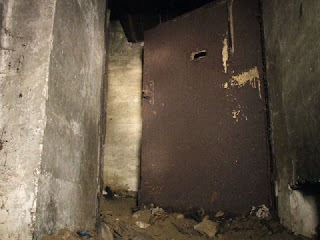 Looking back to the entrance, a tight squeeze!